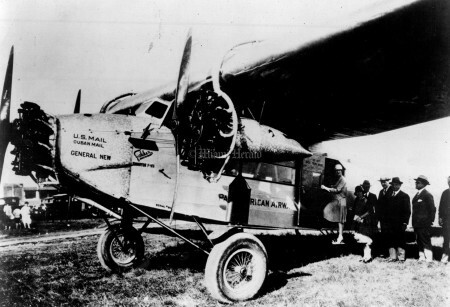 On Oct. 28, 1927, a small wood-and-fabric plane rolled down a dirt runway in Key West, lifted off and headed for Havana to make the first scheduled international flight of a U.S. airline. 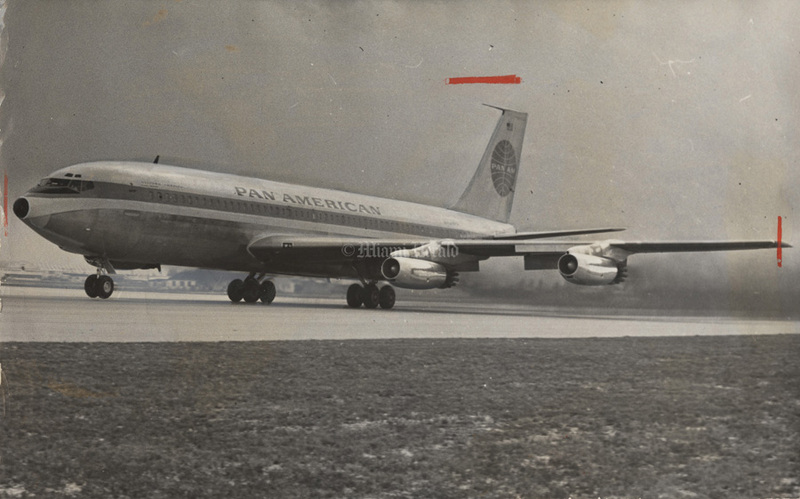 It was made by a fledgling firm called Pan American Airways. 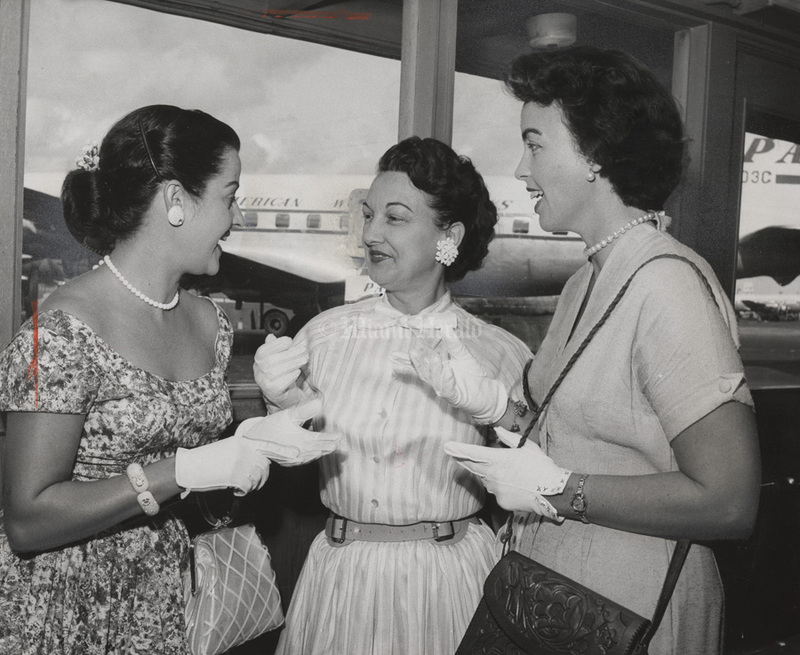 Though it would later be based in New York City, the airline’s links to South Florida were strong, and its presence boosted the world’s awareness of Miami. 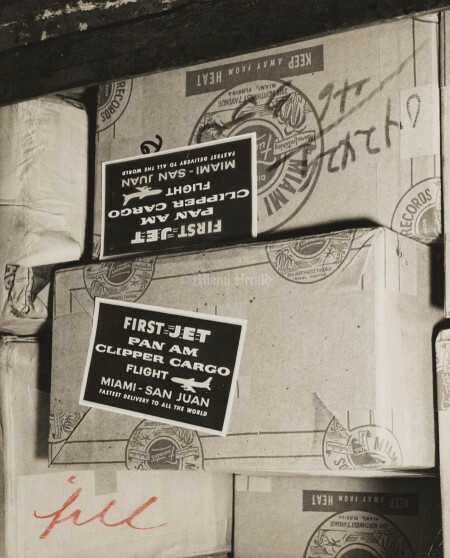 The airline was founded by Juan Trippe in Key West. 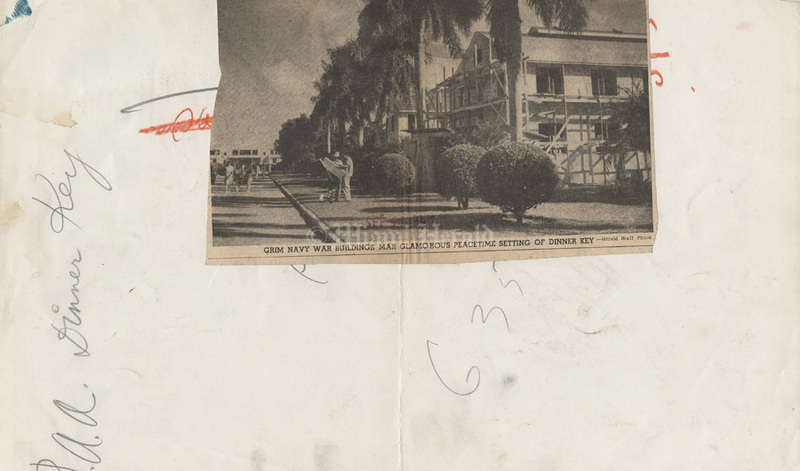 Coconut Grove’s Dinner Key originally served as the base of operations of Pan Am’s “flying boats” or seaplanes, which it called clippers, and it was from there, in 1931, that Charles Lindbergh piloted test flights on Pan Am’s ”American Clipper” to Cienfuegos, Cuba, and to Panama and other points in Central America and the Caribbean. Pan Am pioneered first-class service and in-flight movies and built the field that would become today’s MIA. 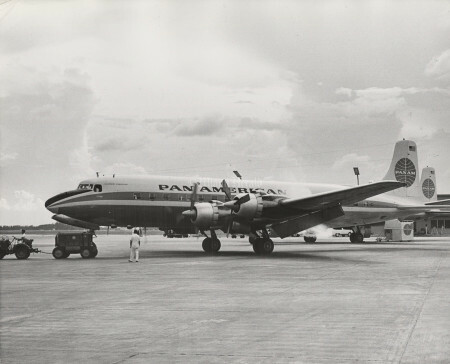 Even after the company moved its headquarters to New York after World War II, Miami remained a major Pan Am hub. 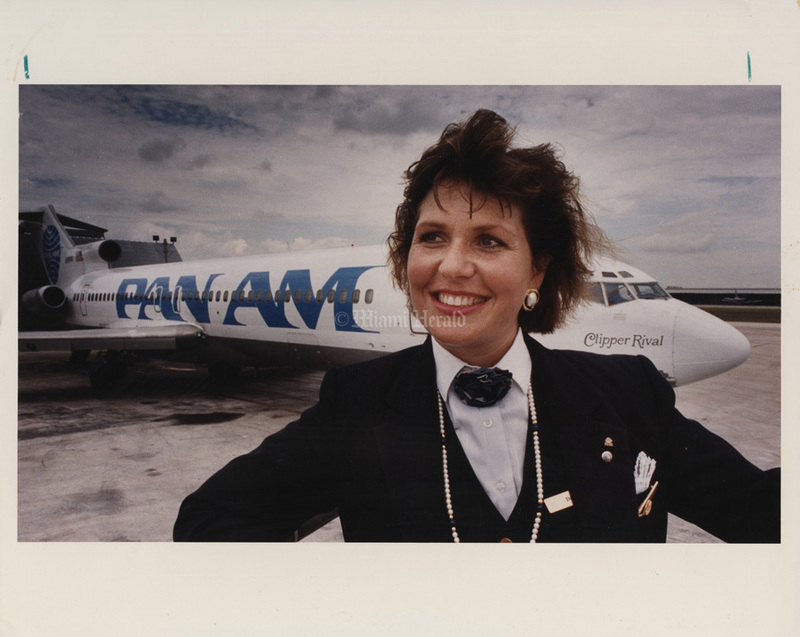 When the airline folded in 1991, it still had 6,500 South Florida workers. The interior of the small Fokker F-7 Trimotor that began the first Pan Am air service between Key West and Havana. 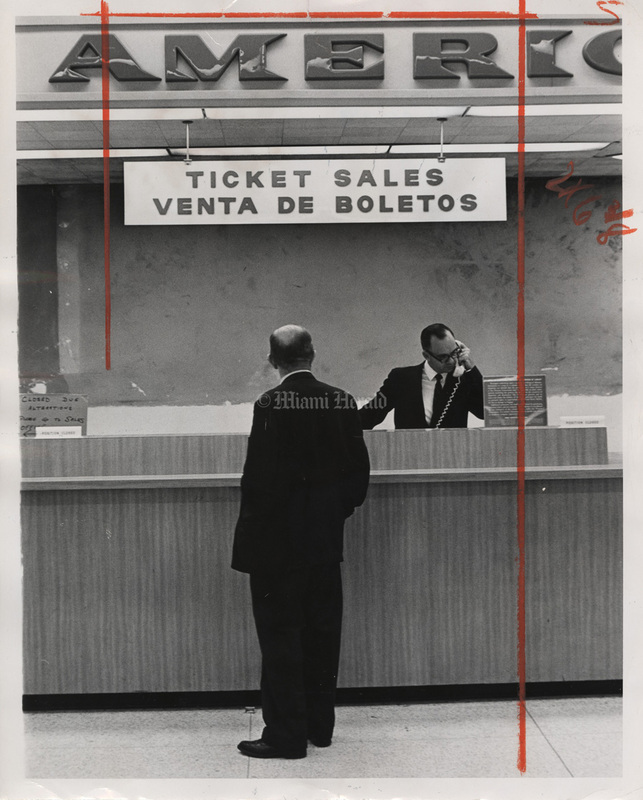 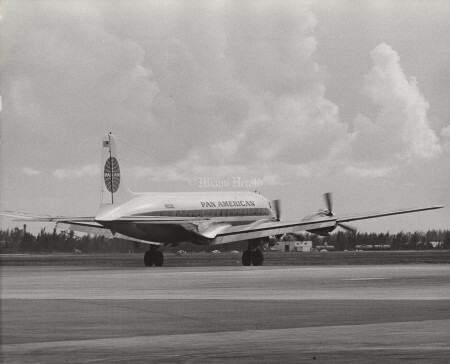 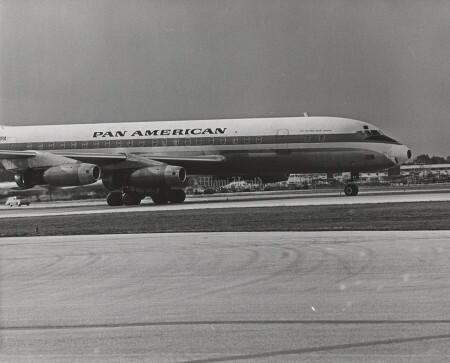 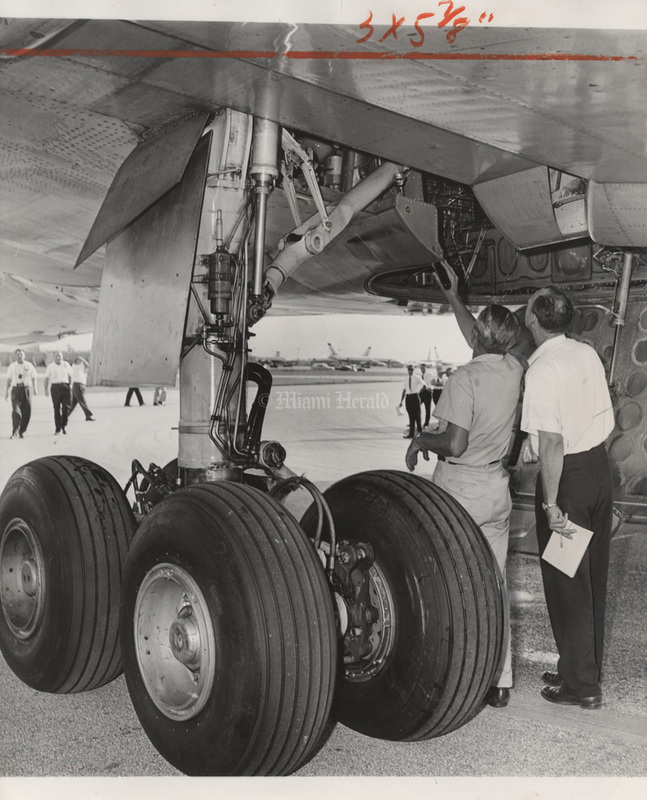 Undated photo provided to The Miami Herald by Pan Am Public Communications department. 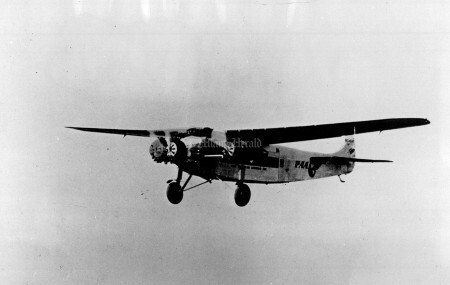 PAA Fokker made first international hop from Kye West. 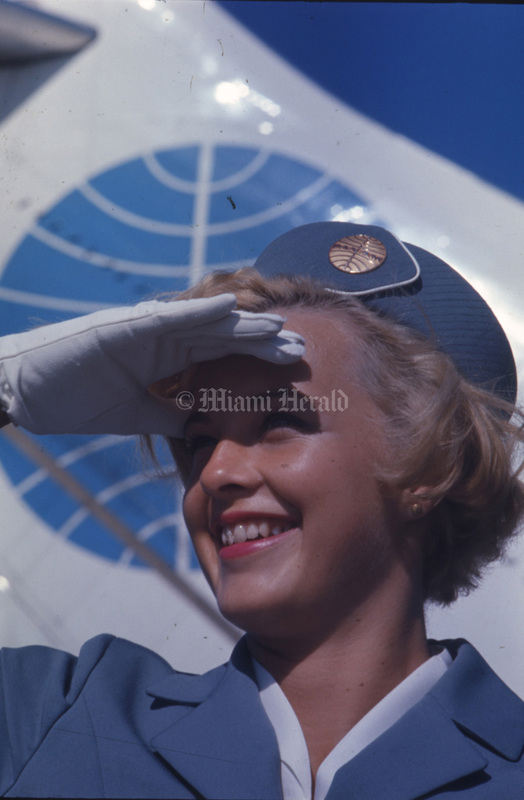 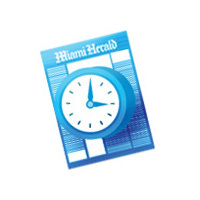 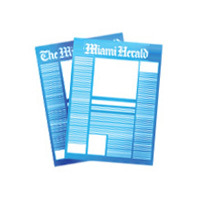 Provided to The Miami Herald by Pan American World Airways Public Relations. 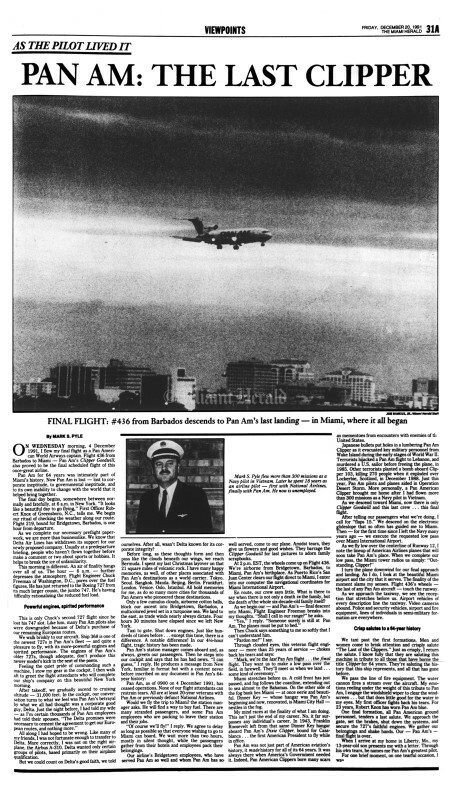 This photo was published in The Miami Herald 11/29/1982. 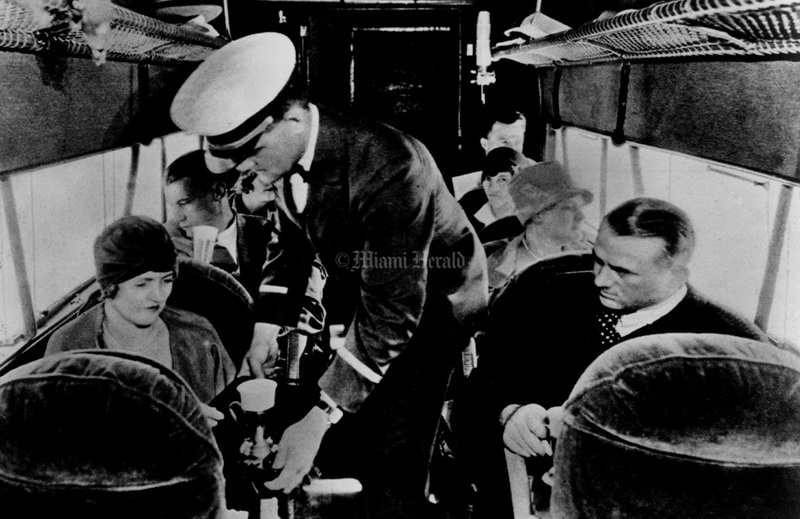 The eight-passenger Fokker F-7 inaugurated Pan Am's first scheduled passenger flight from Key West, Florida, to Havana, Cuba, on January 16, 1928. 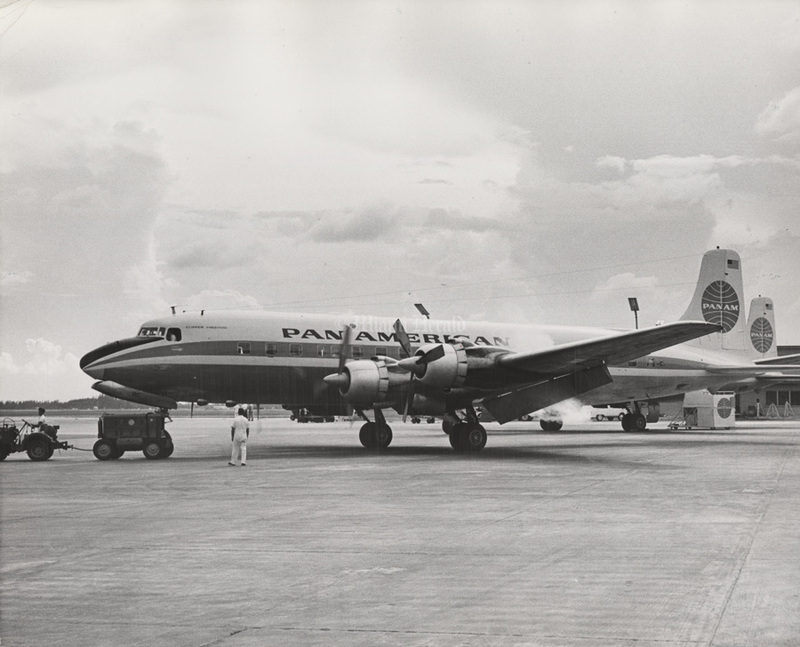 The three-engine plane made the 90-mile trip in about an hour, opening a network that later extended throughout the Caribbean to South America, across the Pacific and, finally the Atlantic. 9/19/1943: Grim Navy war building mar glamorous peacetime setting of Dinner Key. 6/25/1948, Bob Verlin/Miami Herald: Dinner Key Hangar. 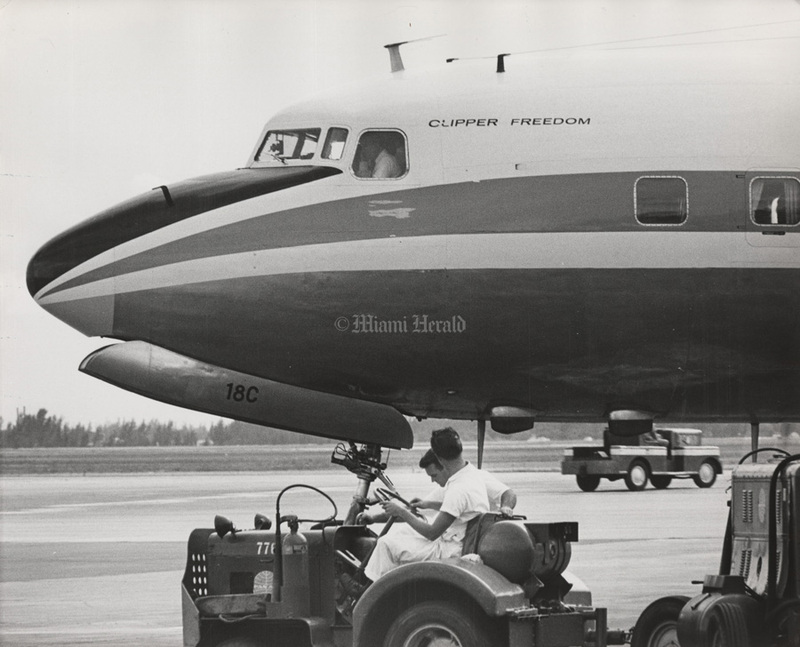 1/15/1968, Jeff Joffe/Miami Herald: Pan American airplane clipper "Mother Goose". 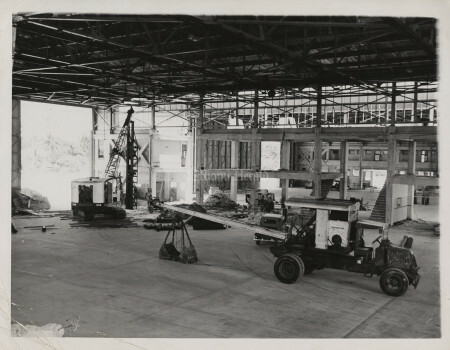 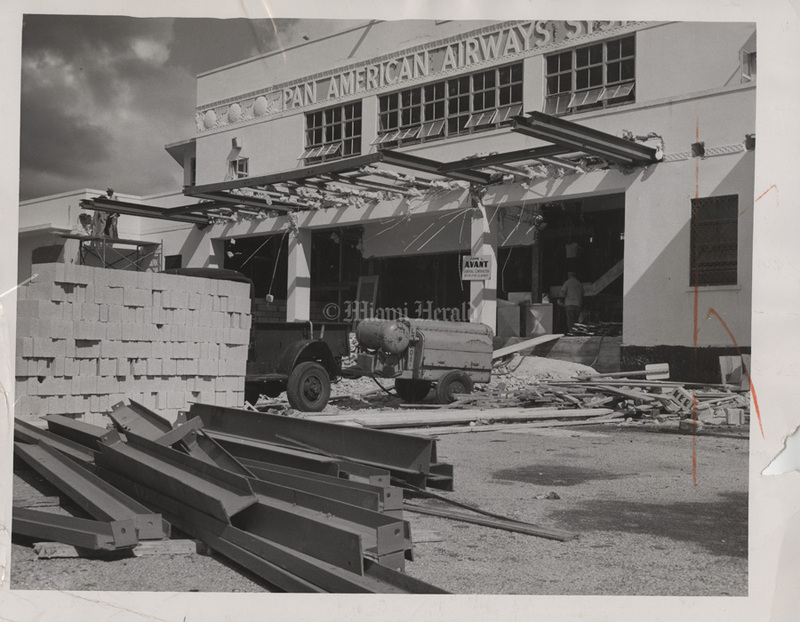 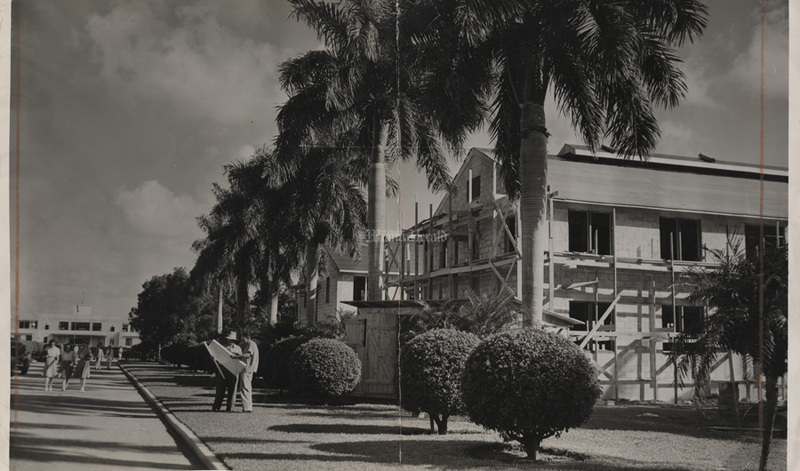 9/20/1951, John Walther/Miami Herald: Pan American Airways building construction. 5/23/1957: Mrs. W. F. Pash, Mrs. M.A. 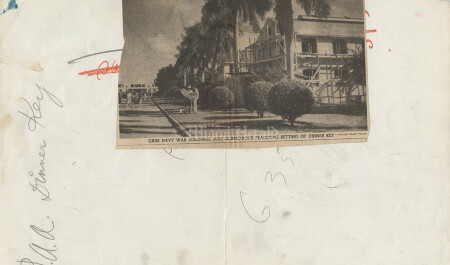 Proctor, Mrs. E. R. Banning.
] 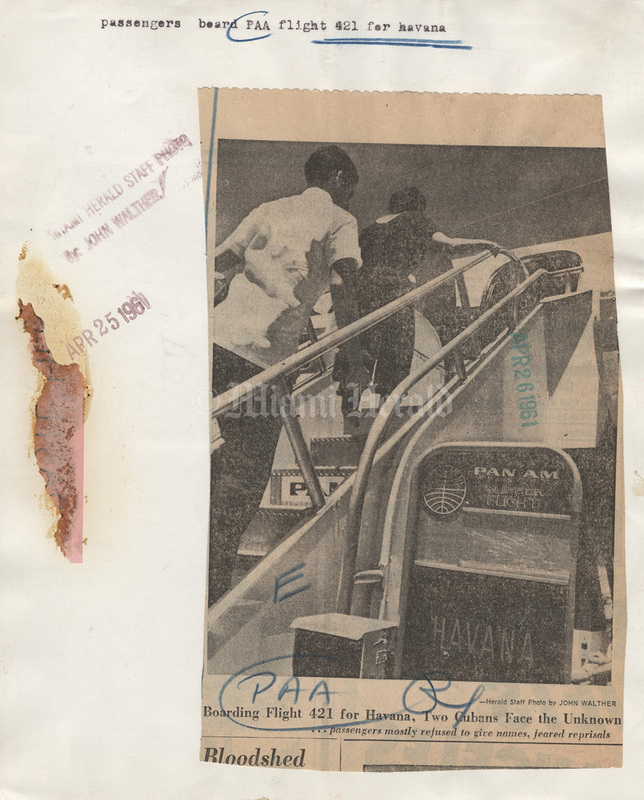 8/22/1965, Bob East/Miami Herald: Pressing Need. Good to have a thing like that button on the right around, never know when it might come in handy, they say. This one is at the landing apron of Pan american Airways at Miami International Airport, but it's not used often they say. 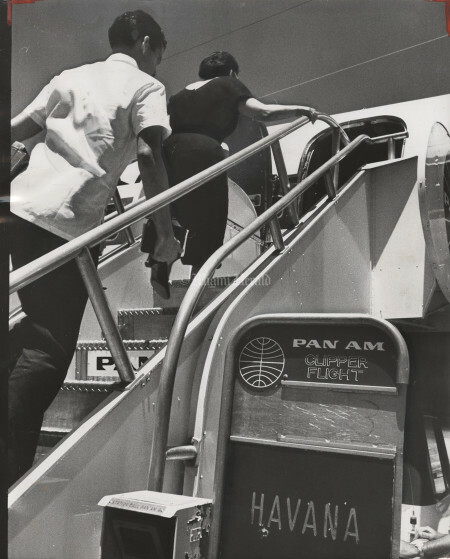 8/23/1958, Bill Sanders/Miami Herald: Pan Am airplane. 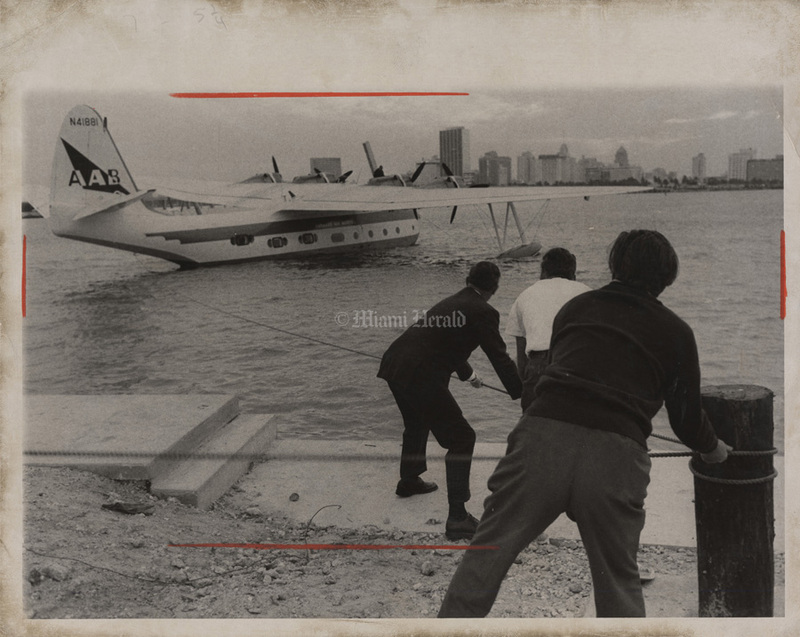 9/12/1962, Wayne Warren/Miami Herald: Pan American plane. 8/9/1961, Bob East/Miami Herald: Pan American plane. 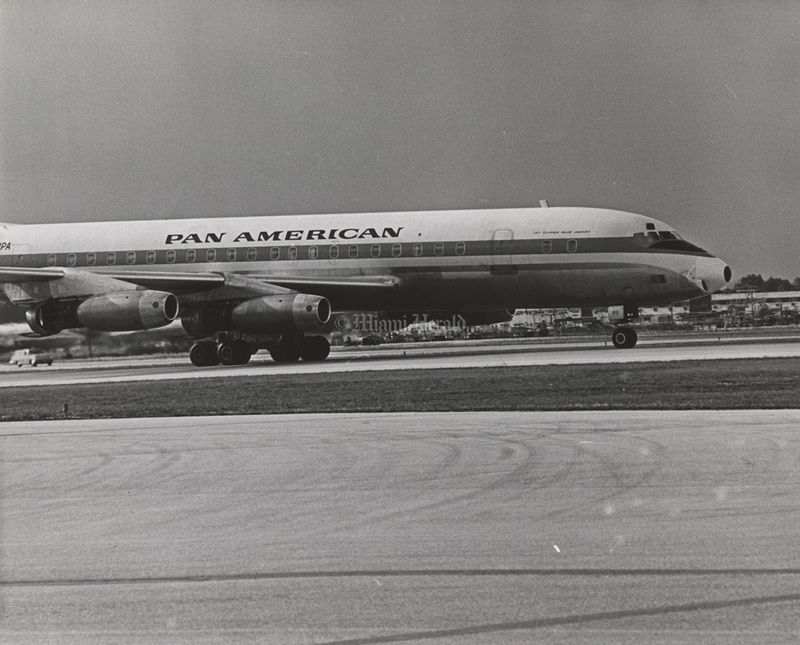 9/12/1962, Doug Kenedy/Miami Herald: Pan American. 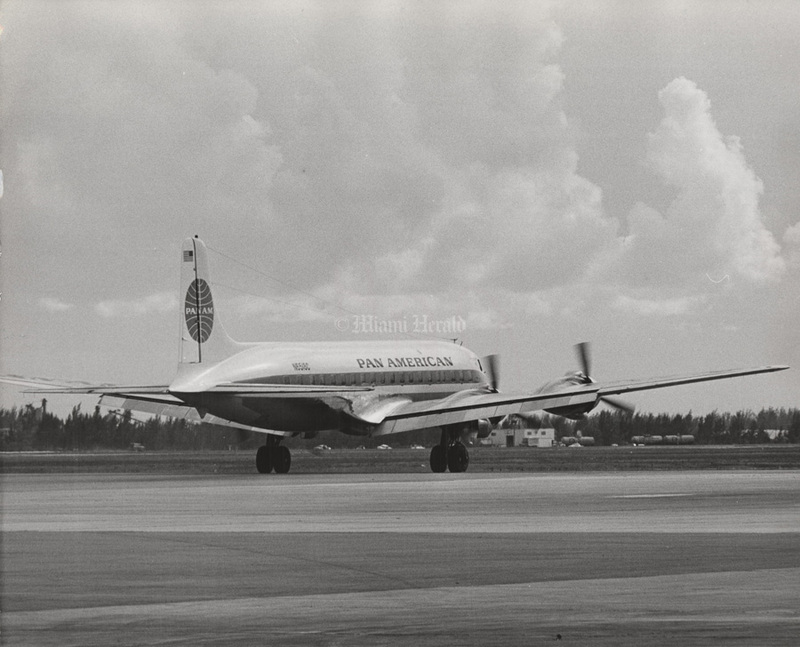 8/9/1961, Bob East/Miami Herald: Pan American airplane taking-off. 8/9/1961, Bob East/Miami Herald: Pam American. 8/27/1962, Mike Smith/Miami Herald: People deplane at MIA after waiting for their flight for over 7 hours. 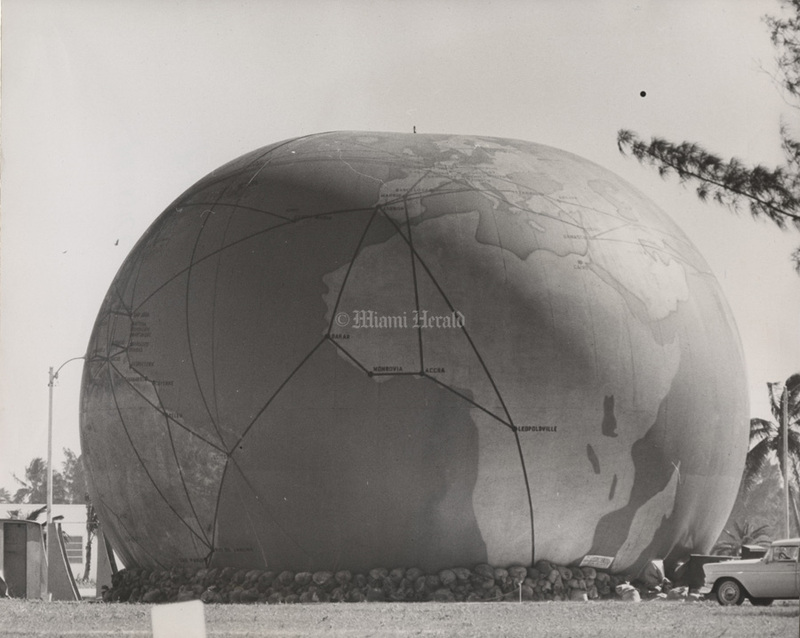 7/7/1950, Tony Garnet/Miami Herald: Model scale of airport, scale 150 ft to the inch. 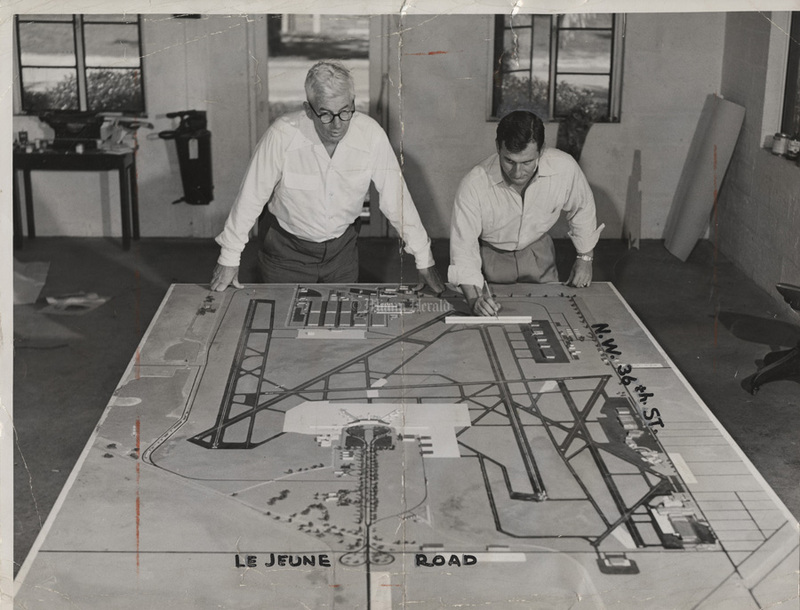 (illegible) shows airport looking west, from LeJune Rd, north and south. 12/23/1958, Bill Sanders/Miami Herald: Clipper cargo jet goods. 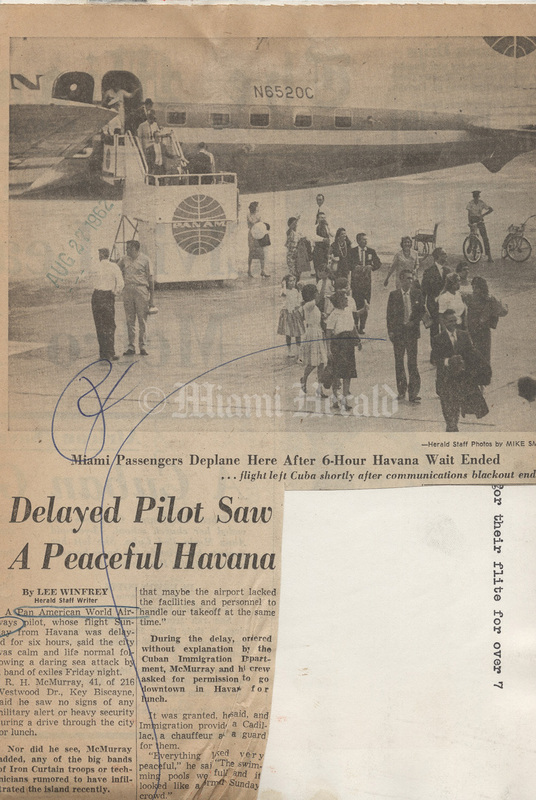 3/3/1965, John Walther/Miami Herald: Pan Am strike. 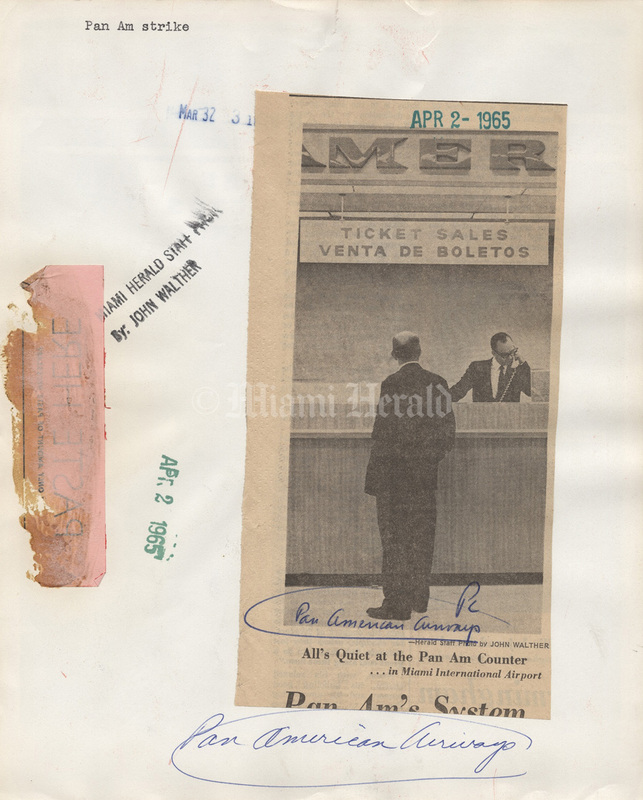 All is quiet at the Pan Am counter in Miami International Airport. 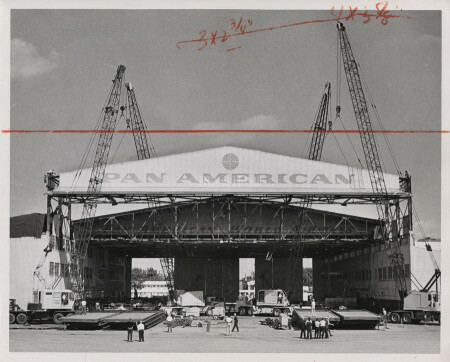 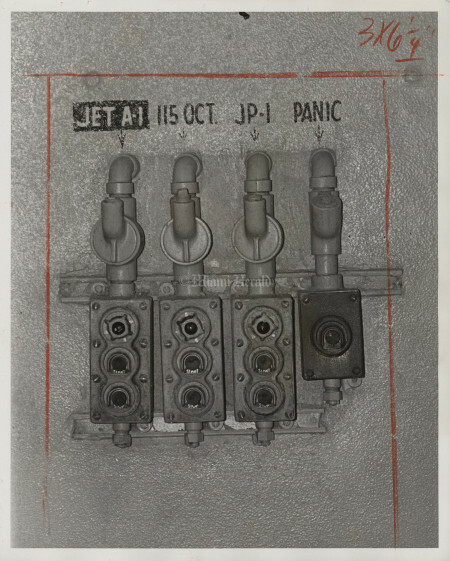 11/9/1967, Jeff Joffe/Miami Herald Staff: Pan American raising the roof on hangar number eight. 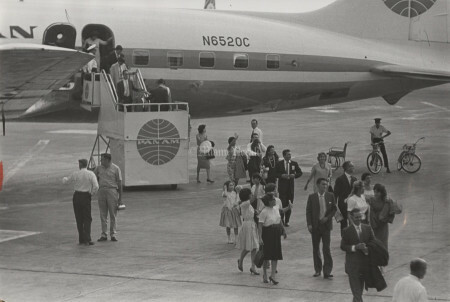 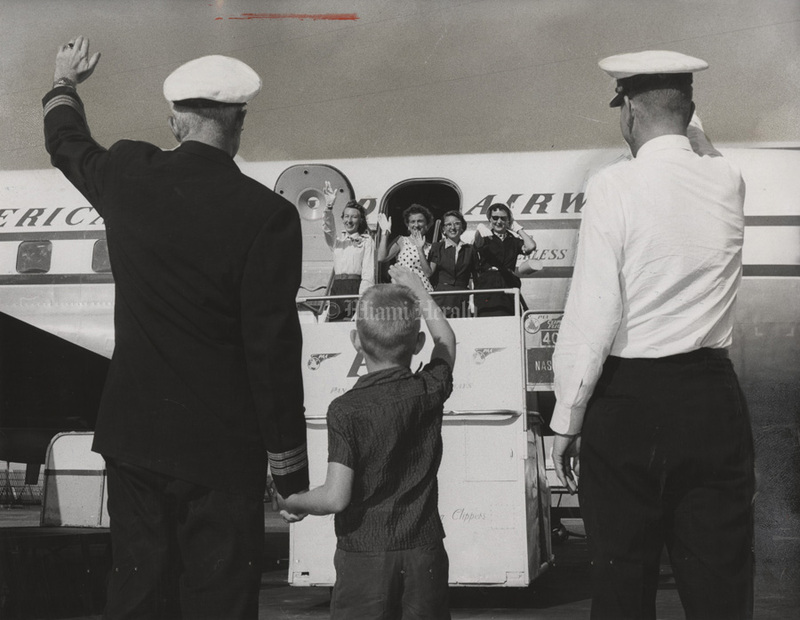 4/25/1961, John Walther/Miami Herald Staff: Passengers board Pan American flight #421 for Havana. 2/1/1960: Keith Sheldon/Miami Herald Staff -- Uncaptioned photo. 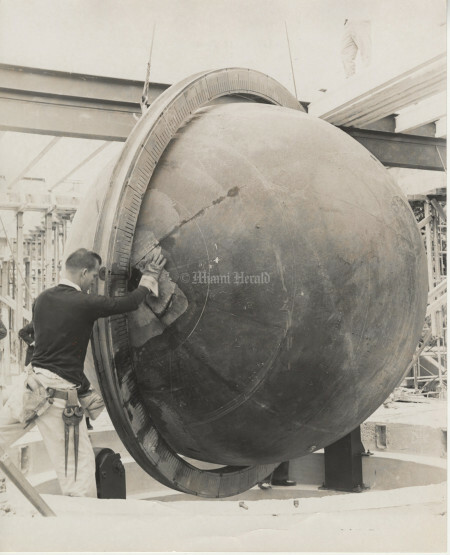 A workman jockeys giant globe, presumably the one from the Pan American Airways System terminal at Dinner Key. 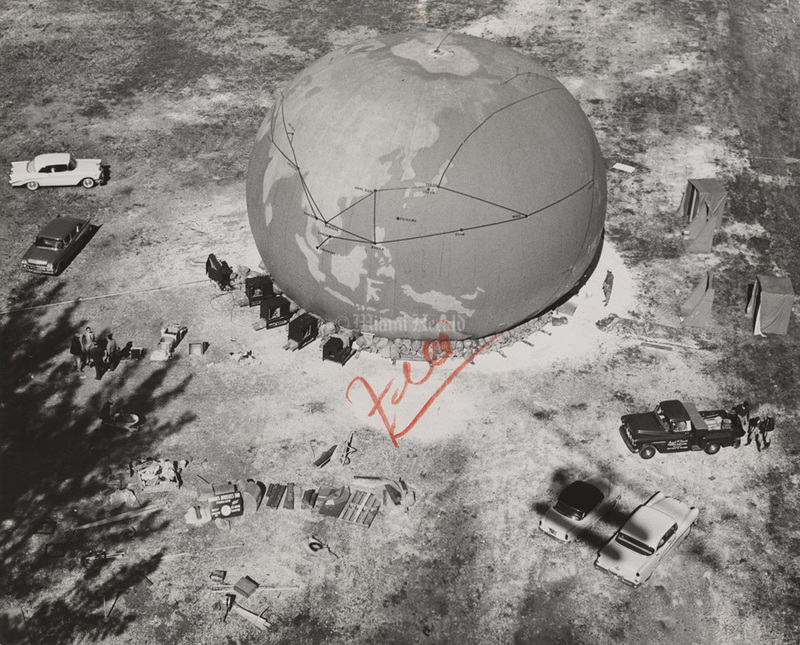 This photo was filed under "Pan Am Airways" but unknown whether the shot shows the globe being removed from Dinner Key or newly installed at the new Miami Science Museum building opened in 1960. 4/14/1968, Miami Herald Staff -- Uncle Sam wants everyone to fly, but is this any way to ruin an airline? Pam Cartwright, Pan Am, from Nashville, Tenn.